January is typically a quiet months for videogame releases as the games industry takes a collective pause for breath following the hectic holiday period. Spare a thought for GPU driver developers however, who continue to roll out new drivers this month as in every month of the year. This weekend it was AMD's turn with the Radeon Software Adrenalin 2019 Edition 19.1.1, their first major driver update of 2019. 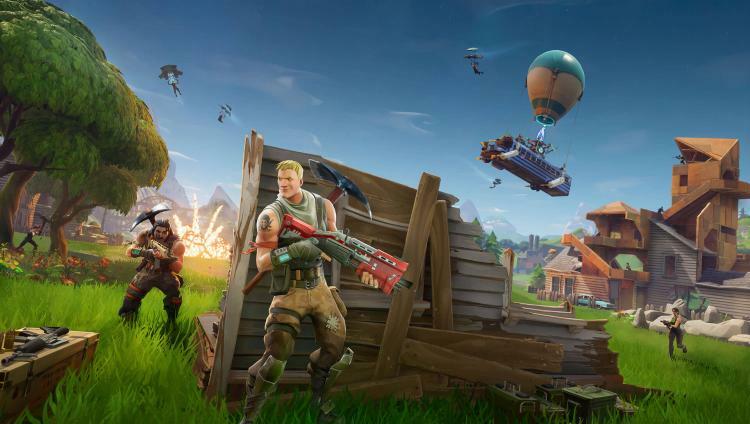 Epic's ever-popular medium for printing money Fortnite is into Season 7, and it receives the lions share of performance updates this time around. Improvements of 3-4% depending on hardware might not seem like much, but if you're running your system close to the wind it could make all the difference in your gameplay experience. In common with other recent driver updates, AMD have detailed the configuration of tests systems which saw this improvement. Alongside the performance updates are a veritable fist-full of software bug-fixes fresh for the new year. Among them are tweaks to Virtual Super-Resolution on Ultra-wide monitors, the new Advisors feature for Adrenalin 2019, Radeon ReLive's upload queuing system, and a fix to observed screen tearing with Enhanced-Sync when in Vulkan API mode. A set of known issues have also been identified to be next up on the chopping block when a fix has passed internal testing. That's always reassuring for any user currently experiencing problems and wondering if it's 'just them'. Full RSAE2019 19.1.1 notes are available at https://www.amd.com/en/support/kb/release-notes/rn-rad-win-19-1-1. Currently only 64-bit versions of Windows 7 and Windows 10 are supported; support for 32-bit Windows variants depreciated last year.